The island of Mallorca is the largest, the best known and most popular of the Balearics. 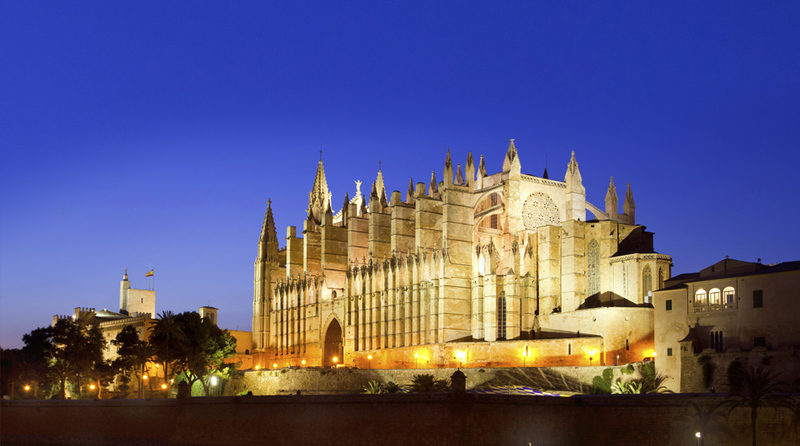 Visitors can wander through Palma’s gothic quarter and wonder at its cathedral, laze on golden sandy beaches or simply enjoy its natural beauty. The island’s 500km of coastline offers a succession of lovely coves, beautiful sandy beaches and secluded bays with some extraordinary caves to explore: notably the Coves del Drac near Porto Cristo. Together with a mild climate and a rich cultural history, it really does provide a delightful holiday destination. The units are to be found in Palma, Inca, (EHIC accepted) and Alcudia. The unit in Alcudia is private and the cost is 255 euros per session. We have a partnership with the Can Misses Hospital in Ibiza town. The dialysis unit is situation in the main hospital and is covered under the EHIC. Ibiza is a beautiful small Island which is easy to travel around, the unit can only offer a small number of spaces to holiday patients, so booking is advised in advance.